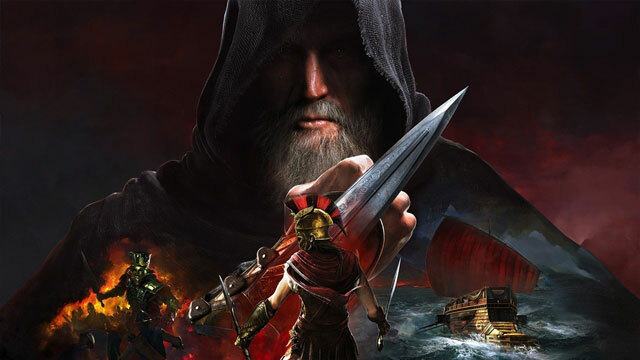 Legacy of the First Blade DLC Episode 2 in AC Odyssey is called Shadow Heritage. The first quest in the DLC is called Stranger Tides, and the quest description hints at where to find the beginning. However, the instructions are a little vague, so that might cause problems for some people. So, here’s our AC Odyssey How to Start Legacy of the First Blade DLC Episode 2 to help you find the Shadow Heritage quest Stranger Tides. Where to Find Legacy of the First Blade Episode 2 Shadow Heritage Starting Quest? To find the beginning of the first Shadow Heritage quest in AC Odyssey Legacy of the First Blade DLC Episode 2, you’ll have to travel to Istion Valley in Achaia. The starting note that you get when starting the game with the DLC downloaded, titled Find Me, mentions “to look above when you are in the western village in Achaia.” The Stranger Tides Legacy Quest description offers further insight into the matter. It points you towards Istion Valley, which is basically the westernmost point of Achaia. Fortunately, there’s no better time to use Fast Travel than now. Why? Because Darius will be waiting at the Istion Valley synchronization point, Ionian Watch. Hence the whole business with looking above when in the western village. The synchronization point is to the west of the village, high up on a rocky hill. But nobody has the time or patience to bother with that. Just fast travel to the Ionian Watch synch point, and find Darius crouching there. If you’re not sure where exactly this location is, check out the map screenshots provided below. Once you’ve found Darius, have a chat with him. You’ll find out what’s been going on with him and, more importantly, Natakas. From there, you’re pretty much set; just follow Darius and do what he tells you to. If you can’t find the new content, make sure to download it manually if you’re on console. Also, there’s a chance that the new DLC episode isn’t yet available in your region, especially if you’re playing on the PlayStation 4. Just be patient. I am getting “Wait for your legacy to continue” in the quest menu (I’m playing on Xbox One), and I can’t find anything on the web or YouTube to explain how to get “The Stirring Darkness” (Add-On) Legacy Quests to populate. When I try to speak to Darius it just gives small talk dialog about his hidden blade and Neema’s mother. Please help. I’ve been stuck here for weeks. Respond via email if at all possible. Thank you.